Ferrero has unveiled an array of NPD for spring 2019, including luxury chocolate eggs, mini eggs and a chocolate squirrel. 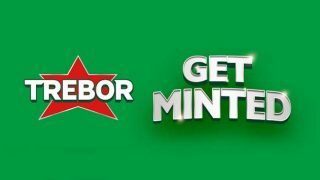 The confectionery manufacturer is also investing £3.7m across TV, video-on-demand, social, sampling and in-store media to publicise its Thorntons, Ferrero Rocher and Kinder brands throughout the season. This Easter, the Thorntons range will be bolstered by the introduction of three new luxury eggs, with a premium look and feel aimed at younger, affluent shoppers. The premium eggs will be available in White Chocolate & Raspberry, Milk Chocolate Almond & Hazelnut and Dark Chocolate & Orange variants. For Kinder, two new 220g Surprise eggs will launch to follow on from the success of the 100g in 2018 – where value sales grew by 21% and it was the top-performing SKU in the Kids’ Confectionery category. The eggs will contain larger than usual toys from Teenage Mutant Ninja Turtles and Powerpuff Girls. To drive early season self-treating sales, the Kinder range is being refreshed with a host of new products and line extensions. The five-strong range of Kinder Surprise 36g hollow figures will sport seasonally relevant characters and designs. For shoppers seeking more luxury, and to capitalise on the growing popularity of mini eggs, Ferrero Rocher is launching Hazelnut and Cocoa mini eggs. Both variants will be available in 100g packs. The launch will be supported by sampling activity to drive awareness. 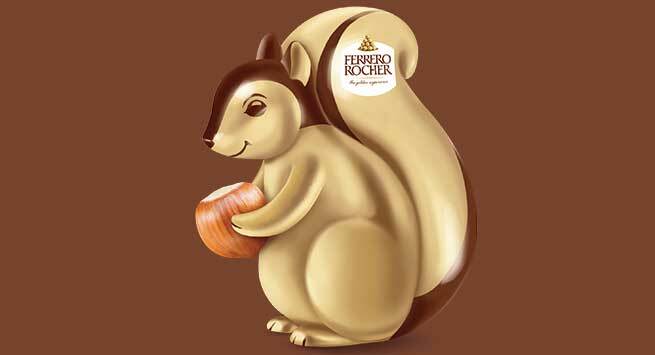 Bolstering the range of novelties further is the introduction of the new Ferrero Rocher Squirrel. The 90g product scored highly for likeability in development, with 63% of shoppers saying they would purchase as an additional item. Completing Ferrero’s range of new products for Easter are new bunny figures from Thorntons. Two new 200g bunny products (one milk chocolate and one white) will launch this spring. 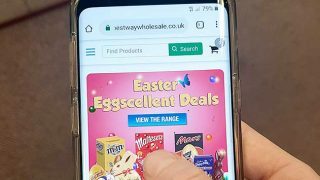 Levi Boorer, Customer Development Director at Ferrero, commented: “Easter falls later in 2019, extending the trading period and giving a greater window for seasonal sales.